Hello and welcome once again to my weekly blog. 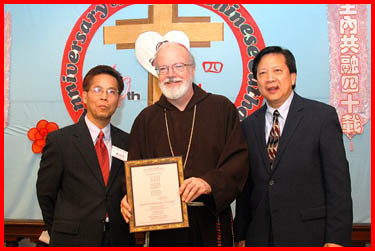 On Sunday, we had a celebration for the 40th anniversary of the Chinese Catholic community here in the archdiocese at St. James Parish in the South End. The Chinese community has a wonderful history in Boston, and they are very proud of it. 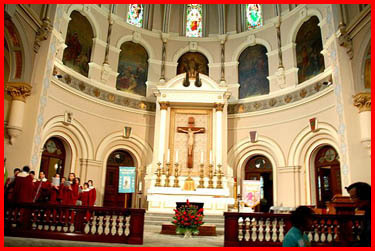 Cardinal Cushing began that community there, and they have had a number of priests serving them — Franciscans, Maryknoll priests and many Jesuits. 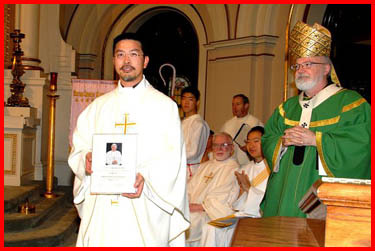 Currently Father Anselm Lam, a priest from Hong Kong, is serving there. They also have a young Jesuit deacon, ordained two weeks ago, helping out. 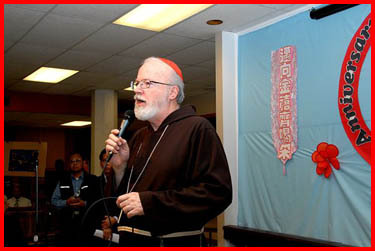 The church was filled and I began my homily by quoting the words of St. Peter which are inscribed over the altar of the church, “Bonum est nos hic esse” or in English, “It is good for us to be here.” Father Anselm translated my homily into Chinese. 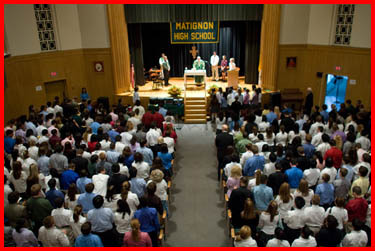 At the Mass, they had wonderful participation in singing. A luncheon followed that included a slide presentation on the history of the community. It was very, very well done. 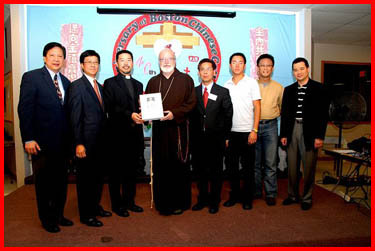 The Chinese Catholic community in Boston has very good lay leadership and involvement in the parish. They work with three different linguistic groups of China and reach out to the Chinatown community as well. They are very open and inviting, and they have received many people into the Church from the Chinese community. I understand they have a very good RCIA program there. I know they have an open house once a year and invite people from the Chinese community to come in and learn more about Christianity and Catholicism. They are a very inspiring group with a wonderful group of servers. At a recent archdiocesan Pastoral Council meeting, I had Jonny Yip, one the leaders of the community, give a report about our local Chinese Catholic community. 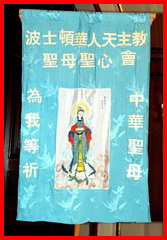 He also spoke about the Catholic Church in China, and the difficulties there. 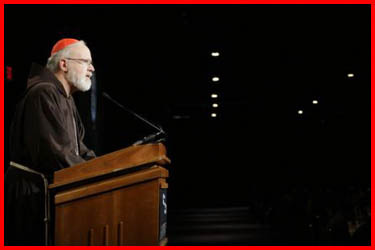 Then he spoke about the Holy Father’s letter to China. It was a very informative and stunning report. Everyone on the council enjoyed it. 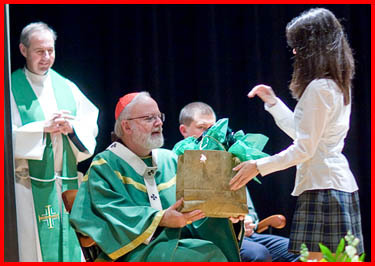 Later that day, I celebrated Mass for students at MIT. They had a wonderful music group there, and it was standing room only. Though most of the students were from MIT, some were from neighboring universities. Afterwards there was a light reception, and I had the opportunity to speak with some of the students. The young people were very enthusiastic about their faith and about what campus ministry means in their lives, so it was a pleasure to go. 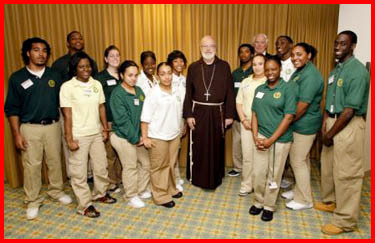 Father Rich Clancy, the campus ministry director, organizes many different activities for the students there such as Bible study and Eucharistic adoration. 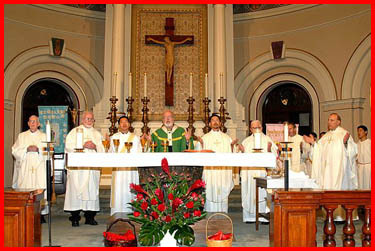 Father Clancy also organizes occasional Masses for different groups of foreign students. 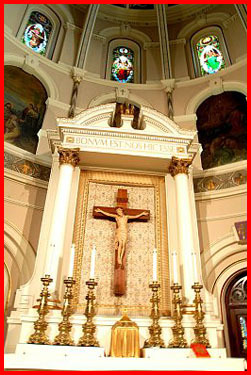 He will be having a Mass for the Philippinos and there is going to be one for the Latin Americans. Father does such wonderful work there. 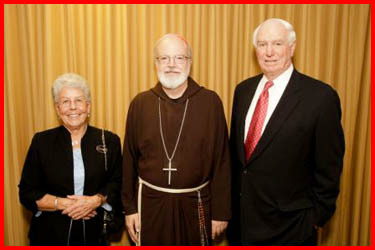 That evening, we had a screening for the movie Bella, a 2006 film with a strong pro-life message, at Boston College. 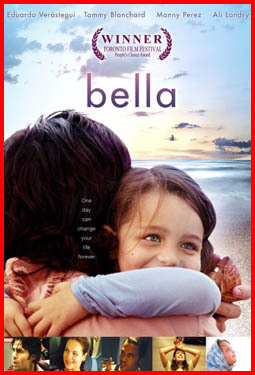 Bella won the very prestigious Toronto International Film Festival last year. The film opens in New York today, Oct. 26. It is expected to open in the Boston area sometime in November. That night also happened to be game seven of the Red Sox in the ACLS, so we were afraid no one would come! 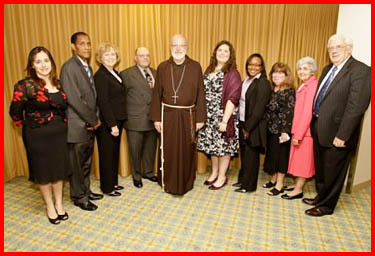 Thankfully, we had a wonderful turnout and nearly 60 parishes were represented. I told the people about an experience I had in Fall River when I drove to Boston to see “Entertaining Angels.” It was a movie produced by the Paulists about Dorothy Day. 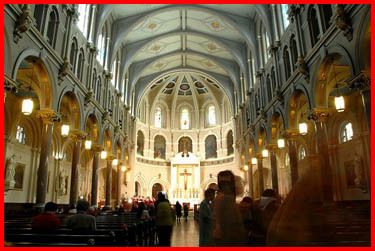 Father Stephen Avila and I came to see it because it never came to Fall River. We were practically the only ones in the theater, and it was only there three days. The movie was wonderful with top-rate actors and actresses. It received all kinds of very good reviews from the critics, but a very small advertising budget. Many movie studios spend tens of millions of dollars on advertising for each movie they produce. Then, of course, more people see the movie because it is so well known. The success of a movie like Bella, which is praised by the critics, depends on us to get the word out and to help make it known. Marianne Luthin, director of our Pro-Life Office, has worked very hard to coordinate the many parish and other Catholic groups who want to support this film. We are very grateful for all of them. The Knights of Columbus have also done a terrific job, and we were very grateful that Boston College allowed us to use their auditorium for the screening. We were also anxious to have some of the BC students see this film, and some did. I’m pleased to say it was a very successful evening. 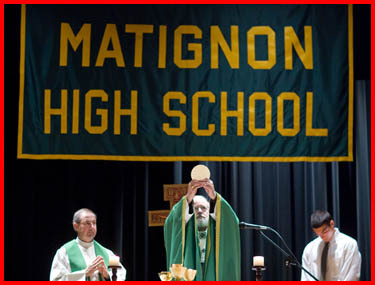 On Tuesday, I visited Matignon High School in Cambridge and celebrated a Mass. It was a very encouraging visit because in its recent history Matignon has had great challenges, but we have set up a lay board there with Howard “Hap” Redgate as the chairman of the board. He has worked aggressively to turn it around. They have made a lot of repairs to the buildings, which are beautiful. They did a great job with the library and all the labs as well as the wonderful sports fields, which have been completely refurbished. I also understand that they recently hired a campus minister. Last year for incoming class there were 300 applications for 100 places. It is an impressive turnaround. I was very happy to be with them and grateful for the gifts they gave me. 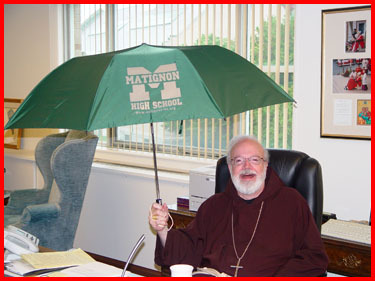 Just as at Matignon, Cathedral High School is a very good story in Catholic education. I visited there for a fundraising dinner Wednesday evening. They raised about $1.3 million. Much of the money came from corporations, but a good deal of the money and the work came from graduates of the school. 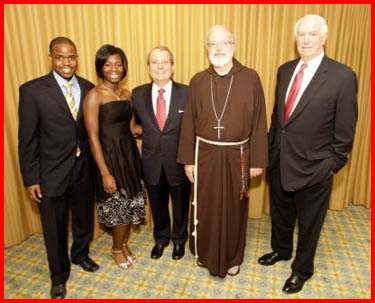 Many of the alumni were kids from Irish and Italian families who lived in the cathedral parish area and are now successful business people who want to give back to the institution that gave them so much. 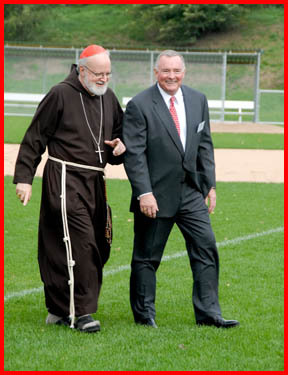 The beautiful aspect of the Cathedral School story is the many alumni who have come together and stepped up to the plate, beginning with John Remondi, the president of the board of trustees. They have built a gymnasium, which cost $7 million, and they just put a new roof on the school. 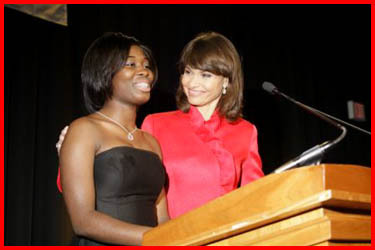 Many of the children who now attend Cathedral High also come from poor families and face great challenges. The students are mostly black and Hispanic, many of them from low-income families. In order to keep the tuition affordable, we have to raise a significant amount of money to keep the doors open. During the speaking presentation at the dinner we heard from a graduate of the school and a current senior student. Both told very inspiring stories. 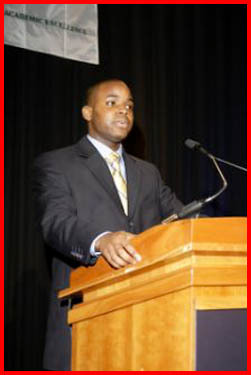 The graduate, Noel Dixon, and his siblings were raised by their older sister after their mother passed away. 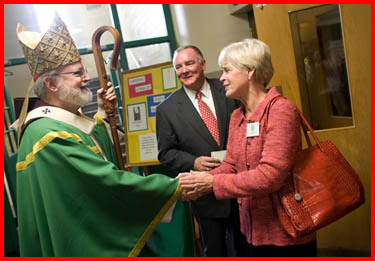 She sent him to Catholic school, and he went on to graduate from Boston College. He is now working in the world of finance, and is very successful. The senior who spoke, Fatima Bowah, shared her very, very powerful story. Her parents were from Sierra Leone, but she lost both of them and ended up in foster homes. She said the foster mother who took her in was wonderful and put her in a Catholic grade school. Then, the foster mother died when she was 16. Fatima talked about how the school is her family and that she feels safe there. She, too, has plans to go on to college. The beautiful thing was her testimony about faith — how much God meant to her and she said that God always put the people she needed in her life. 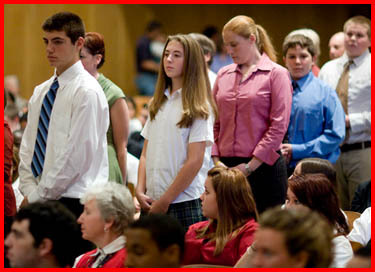 The students who go to Cathedral High School are well prepared and many go on to be very successful. Ninety percent of last year’s graduates are enrolled in college. There are many people to thank for that, especially Christol Murch, the chief administrator there, as well as Sister Mary Black. They have both been there many years. Sister Dorothy Burns, the principal at Cathedral Grammar School, has also done a terrific job. It’s been great watching all the action of the World Series this week. 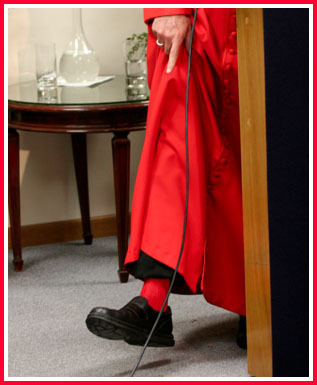 While I’m sure the best team will win, do remember I wear red socks!